Ever wondered why your OEM (carry-come) battery last much longer than the ones you bought off the shelf? The problem might not be wrong charging, it could be that you bought a fake battery. 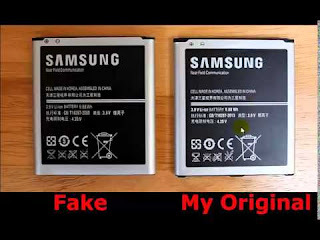 Fake battery on its own is dangerous because it charges too fast discharges at a much faster rate, this make it prone to overheating, “big-belle” and possible explosion. 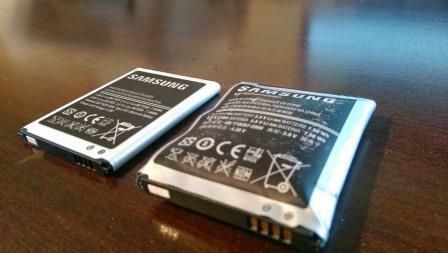 The solution now is to identify and differentiate between an original/ fake battery. First, don’t throw away your old original battery, keep it for comparison if you want to buy a new one. Mobile devices have different mAh from 1500 mAh reaching up to 5000mAh or more. Most people barely notice this part. The appearance is necessary to know. It might be bigger, small or looks different from the original faulty battery. The most obvious would be the writings which would be significantly different. Do a fast 5 minute test to check the charge/discharge rate. • Charge it after few minutes unplug the charger and plug it back after few sec or 1 minutes. If it's an original battery the percentage would remain the same. If it's fake.. it would automatically increase. For instance, battery status was 3% when you remove the charger and plug it in back it would increase to 20% . This is always the big give away, if there is any slight design difference in text or quality, it is probably fake. Most android batteries are heavy actually, not all. Some are light while others are heavy. If you want to buy a new battery it's advice able you go with the original faulty battery so you can check the weight. If you notice any different don't buy it. If the original battery was made in Malaysia and the one you want to buy is Made in China, it is probably fake.